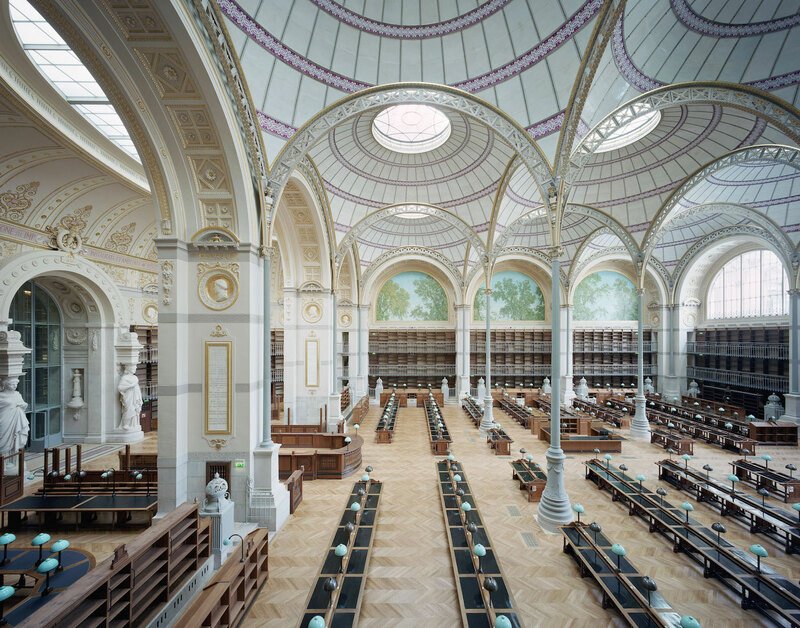 Spectacular Renovation of The National Library of France by Bruno Gaudin & Jean-François Lagneau. The Bibliothèque nationale de France (BnF) has had a distinguished if not somewhat disjointed past. The library was moved to the Rue de Richelieu in Paris in the mid-19th century. This new location was a conglomerate of two former aristocratic town palaces and various annexes that required reconfiguration to house contemporary reading and storage rooms. The design was given to , an architect of some merit. He had previously designed the . Substantial parts of that design were constructed out of cast iron, a material that became his trademark. 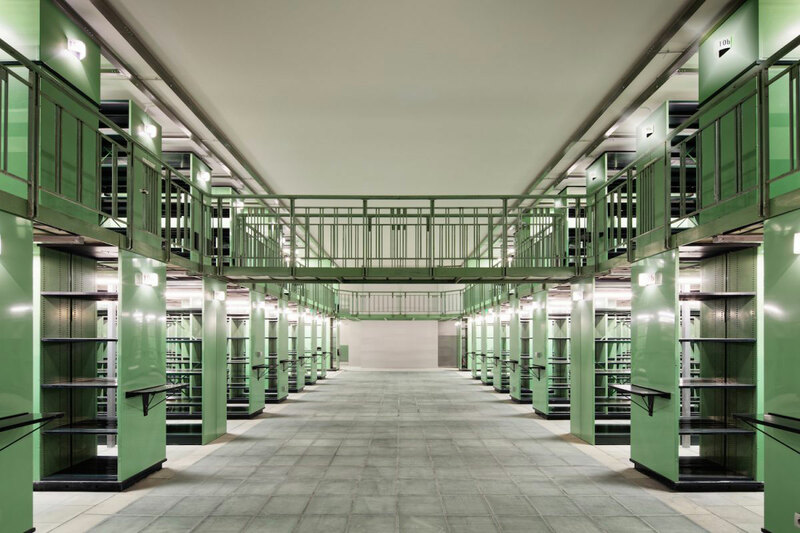 Labrouste, keen to get started on the BnF’s new location, had more than half of the old buildings torn down and created a massive storeroom and a reading room. With its nine domes on refined iron struts, it was simply a stunning library room, one of the most beautiful perhaps of its era. However the BnF’s location was not to stay static for long. In 1988 the French government decided the current space no longer cut the mustard and wasn’t suitable for 21st century user needs. A new library would be built. The next library was built in Tolbiac, east of the city. The old building on Rue de Richelieu was abandoned, like an old French dame, no longer full of youthful beauty she’d been replaced by a younger, fresher model. They kept the old building’s location mostly to exhibit some of the historical collections but sadly the Rue de Richelieu location faded into the background. However, like all good stories, this elegant and graceful old building was not left to wither away forever. 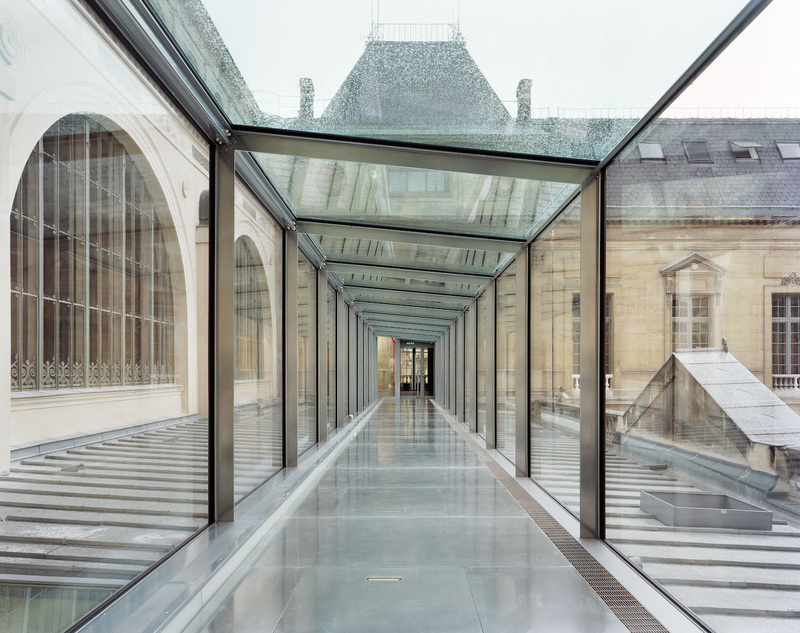 In 2007 were commissioned to start a major planning overhaul on the Rue de Richelieu location and complete a comprehensive modernisation of the buildings. 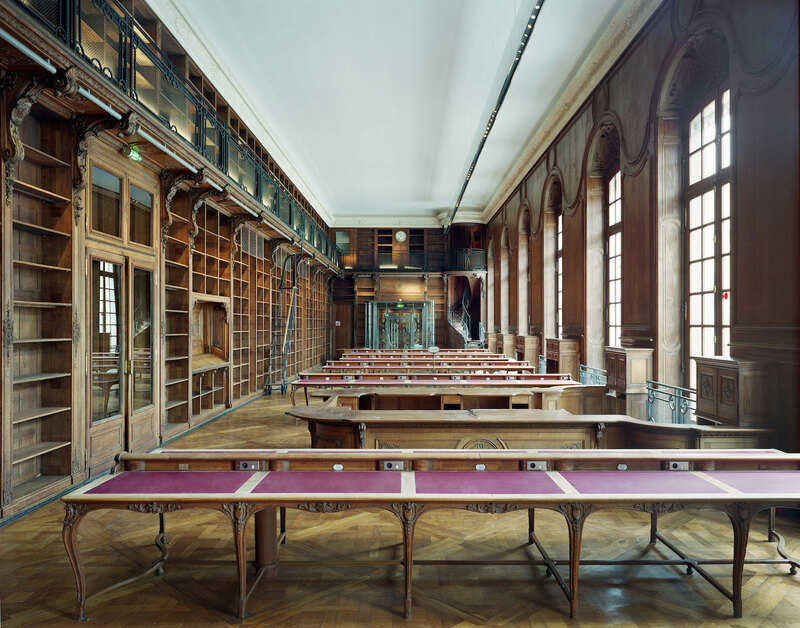 Whilst Gaudin’s company was responsible for the lion’s share of the works, , a specialist in historic objects, was given the task of renovating of the ‘salle labrouste’, the main reading room. The works were split into two phases, the second to be completed in 2020. Gaudin approached the project from an information gathering perspective, excessively researching the history of the building. 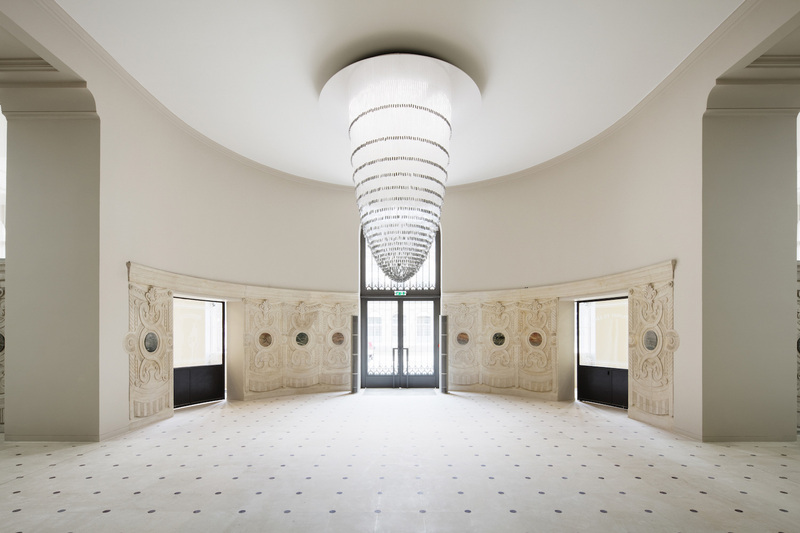 They addressed the flow of the building, managing to incorporate the impressive history of the space whilst adding to it contemporary and modern elements and inclusions. In order to modernise the space to enable it be utilised in a contemporary way, they looked at a more efficient way to access the path of travel between the various buildings. Keeping in mind the restrictions placed on them in terms of preserving the history of the architecture. After careful consideration and intense research the architects devised several key strategies to redesign the complex. A central longitudinal foyer as the main access. 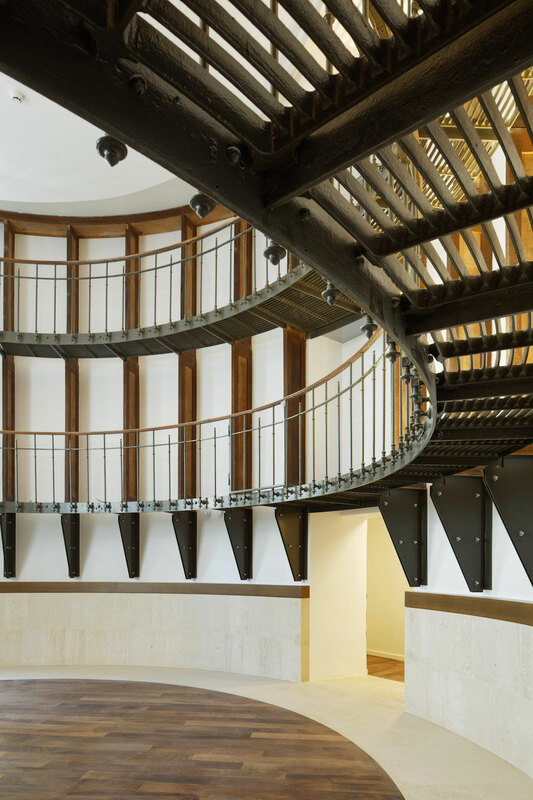 Central stairway that ensures vertical access and shifting the divide between public and non-public areas. 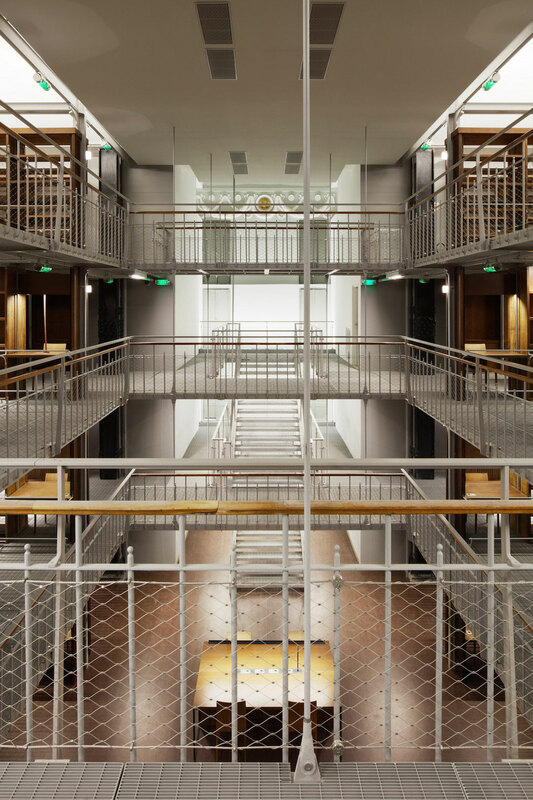 Large sections of Labrouste’s cast-iron engineering, with which he designed the book storerooms, are now opened up to the public, fully restored. His magnificent reading room was also restored and outfitted for the new users of the Library with additional workstations added to allow for the increased use of visitors. 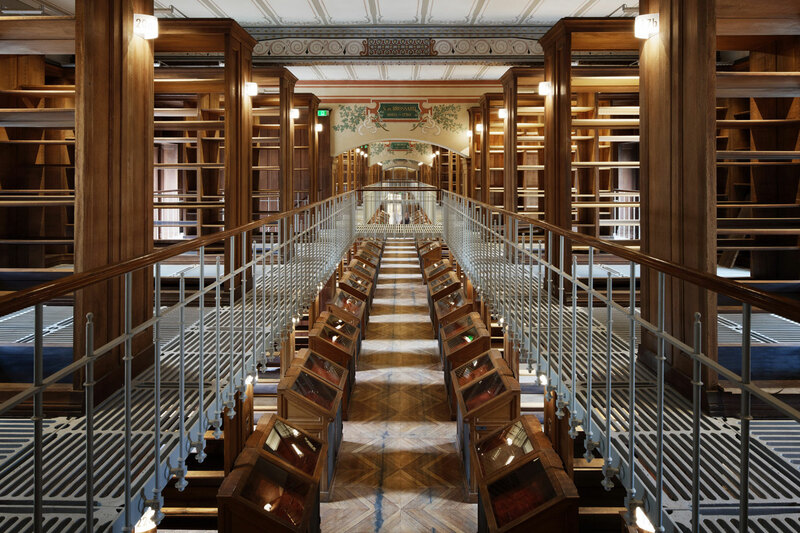 The entrance to Labrouste’s reading room is a magnificent space to behold. Gaudin completely redesigned this large west foyer, going all out on luxe and grandeur. A grand chandelier is the focal point of the room, majestic candelabras hanging from the ceiling. In areas that needed reconfiguring or where some level of intervention was necessary they kept the palette and finishes fairly neutral. 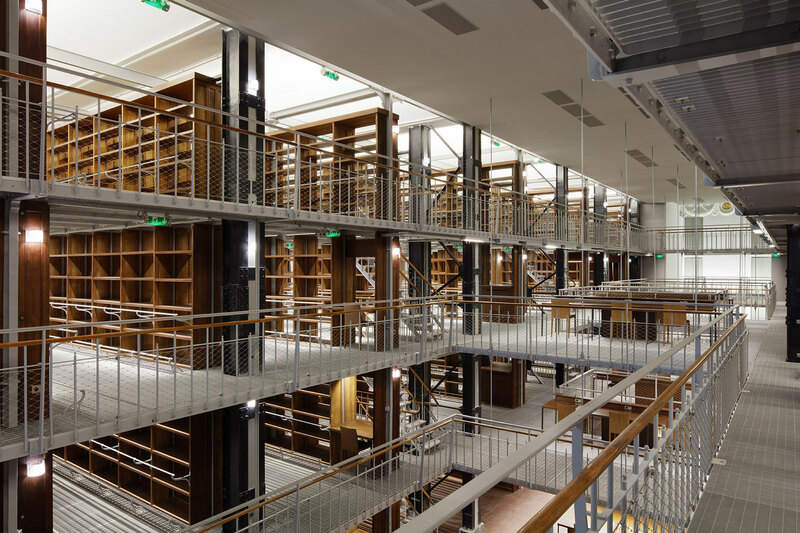 However the new reading room for the Département des Arts du Spectacle with its vertical wooden louvers that screen the upper section, has a strong, contemporary design. It was a considered move away from the original 19th century look and feel of the building. The book check out area mimics the wavy curve of the louvers above. And the addition of contemporary workstations with matching timber batten ends brings this space solidly into the present. 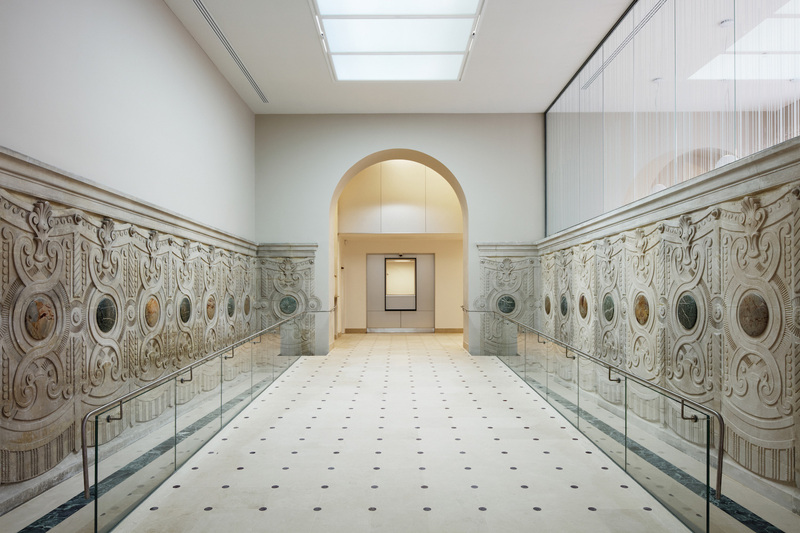 After years of renovation the historic site has reopened it’s doors to the public. And what an opening it has been. Years of architectural history revitalised and like Cinderella sprinkled with some magic; the old Dame has been given a chance to sparkle once again. Treves & Hyde Restaurant & Bar in East London by Grzywinski+Pons.